Florida — Today, the seven-member Florida Fish and Wildlife Conservation Commission (FWC) voted to postpone bear hunting in Florida in 2016. Although the framework for bear hunting in Florida remains in place, there will be a zero hunt objective set for 2016, and the Commission could consider future bear hunting in 2017. Not holding a 2016 bear hunt will give FWC more time to work with stakeholders, local communities and the public to better develop the important role hunting plays in Florida’s comprehensive bear management program. FWC would also continue to work with local communities and the public to advance innovative ways to reduce human-bear conflicts with the understanding that a bear hunt in 2017 could be considered as an important conservation activity to control Florida’s growing bear population. This would allow time for staff and Commissioners to address conflict bear population data to ensure any future hunts are focused where needed. This year, FWC will implement, monitor and measure the $825,000 investment for local communities to reduce human-bear conflict. Florida is a national leader for investing on the reduction of human-bear conflicts in communities, and FWC will continue to work with local governments to keep families safe. More details on that funding will be announced in the near future. FWC hired additional staff, and now employs 30 staff and contractors across Florida who focus on bear management. The additional staff have helped launch the integrated Wildlife Incident Management System to track all bear data along with other species. FWC has responded to more than 21,000 calls regarding bears, performed more than 700 site visits regarding bear conflicts, and provided outreach and educational information to nearly 50,000 people. FWC established Bear Stakeholders Groups in each bear management unit and a Statewide Technical Assistance Group. These groups have allowed hundreds of Floridians to provide feedback and assistance on managing Florida’s growing bear population. FWC trained over 1,600 local responders from 68 agencies and partner organizations on how to best handle bear conflicts. FWC developed an MOU with WastePro in the Panhandle to quickly provide affordable bear-resistant trash cans to area residents. 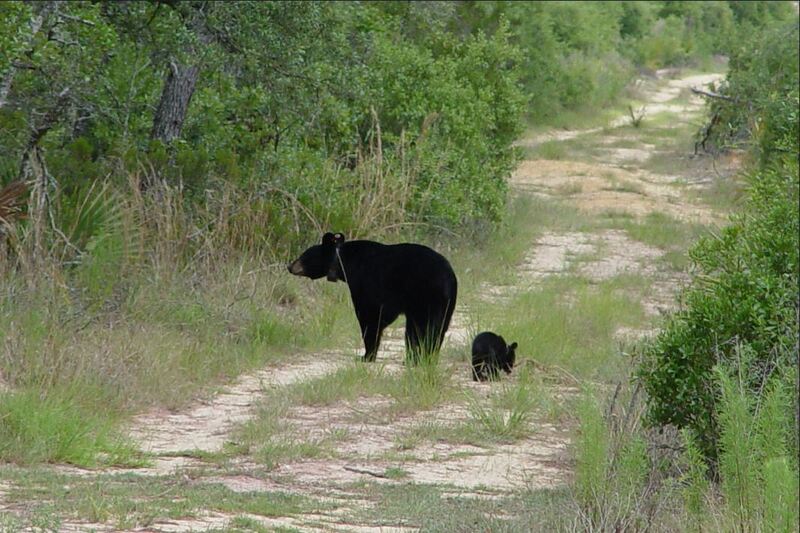 FWC has worked with the Legislature to enhance penalties for illegally feeding bears. FWC has taken steps to protect more than 185,000 acres of bear habitat statewide. FWC bear biologists completed the most comprehensive, scientifically rigorous assessment of bear population size and range ever done in Florida. FWC will continue to advocate for local governments to adopt Bear Wise ordinances.